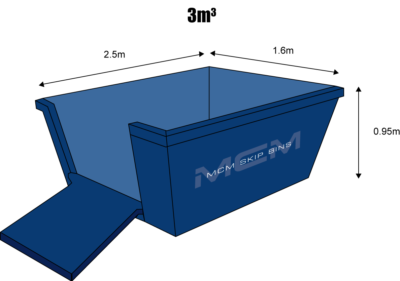 You are looking to get rid of some rubbish and hire a skip bin in Caringbah and Caringbah South. You need an experienced skip bin company offering great prices. MCM Skip Bins will provide you with a hassle free, efficient and cost effective way to get rid of any waste you have in Caringbah. You breathe easy, our local experience of over 15 years brings you expert advice, fast service and competitive prices. Whether you are a homeowner, retailer, builder or commercial operator we have varying sizes in 3, 4, 6 and 8 cubic metres to offer you. We know exactly the right questions to ask to get the right size bin to you. We are proud to include both residential and commercial customers among our clientele. For homeowners, we provide skip bins to help remove waste during moves, renovations and clean-ups. For businesses, we can help with removing waste from construction, fit-outs and demolition sites. We are located right here in the Sutherland Shire, so you will never need to pay extra for transportation costs. We live where you live, and that local experience is evident from the moment you get in touch with us. We do our part to preserve our environment in the ways offered to us within this industry. If you have recyclable materials to be taken away, we’ll be happy to get them to the right facility for processing. It’s all part of our service, there is no extra charge for you. 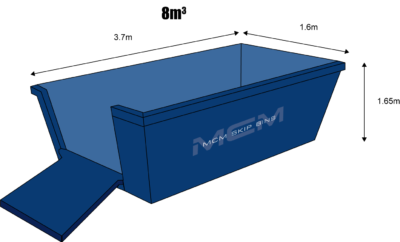 You can have confidence that you have chosen the right skip bin company that minimises the impact on our fragile environment. Taren Point Rd and Captain Cook Dr to the north of Caringbah take the suburb off into a heavily commercialised industrial area which is home to concrete plants, truck and bus terminals, huge manufacturing plants right through to smaller operators accommodated in street after street of factories. This is a thriving mecca for business, employment and convenient access to many services or products needed by residents in the Sutherland Shire. MCM Skip Bins is ready to deliver fast and easy skip bin hire to factories, office spaces, shops for clean-outs and one off projects perhaps a fit out or continuing waste removal needs from any site. You benefit from the owner and drivers being local residents with loads of local knowledge to help your job run smoothly and your rubbish removed efficiently for the best price. We run a hook lift truck and bins for access to restricted height areas or tight spaces. Caringbah is located 24km south of Sydney’s CBD and is another busy pocket of the Sutherland shire containing the districts major hospitals, Sutherland Hospital, Kareena Private Hospital and the recently updated and expanded Caringbah Ambulance Station. The main arterial road, The Kingsway, travels through the centre of Caringbah and is lined with numerous small local businesses and Caringbah train station. Many students travel to Caringbah to attend school. Caringbah North Public school, Caringbah Public School, Laguna Street Public School and Our Lady of Fatima Catholic Primary School take the younger children from kindergarten to year 6. De La Salle College for boys years 7 – 10, Endeavour Sports High School one of seven selective sports high schools in NSW and Caringbah Selective High School the only academically selective high school in the Sutherland Shire.